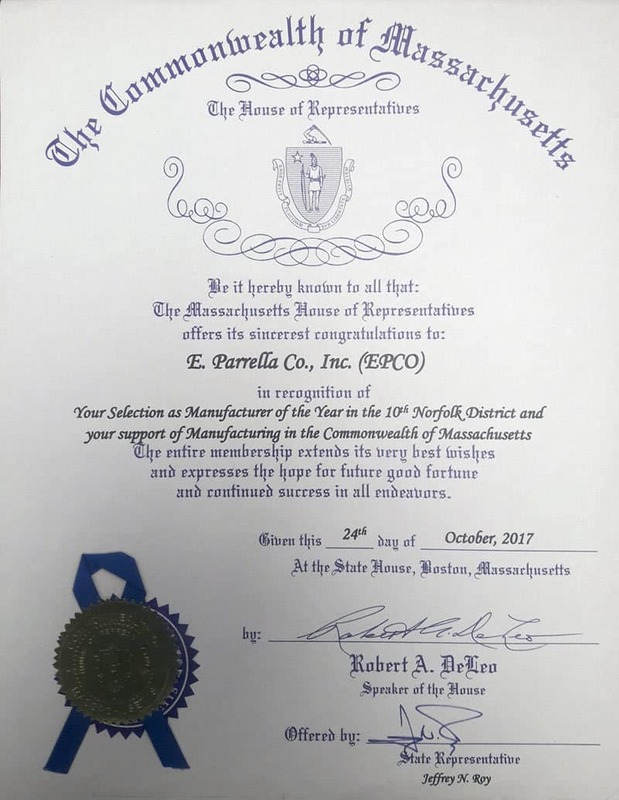 E. Parrella Co., Inc. - EPCO continues its heritage of manufacturing at its facilities in Medway, Massachusetts, U.S.A. Adhering to its mission of providing Quality, Precision, Style, Innovation and Service to a broad customer base serving numerous industries while proudly stating "Made in the USA". Founded in 1952 by Emilio Parrella, EPCO has become a leader in the manufacture of Bowling Balls, Industrial Balls, etc. over these many years. After devoting much of his life in the rubber industry Emilio Parrella pursued his dream of owning his own company and manufacturing his own products. That legacy continues through his sons, John, Richard and Robert. Mr. Parrella developed the first formulations and processes of repairing and refinishing Bowling Balls. Upon seeing the need for a better product and after several years of research and development the Paramount Brand Bowling Ball was introduced to small ball bowling in 1960. "Paramount" was the first to introduce real color and style to small ball bowling. High demand for EPCO’s capabilities of producing quality products with close tolerances caused EPCO to diversify into the production of Industrial Balls, EPCO Shift Knobs, Golf Tee Markers, Bocce Balls, Billiard Balls, Mini Bowling Balls, and Sheet and Rod material. EPCO sets high standards and continues delivering on its mission of Quality, Precision, and Style across our product lines making us a leading manufacturer in the industries we serve!